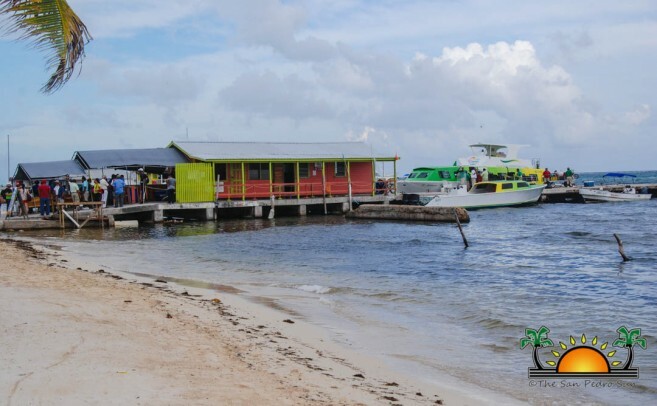 After over a year without paying docking fees to The San Pedro Town Council (SPTC), water taxi company, San Pedro Belize Express has reportedly started paying for the usage of the municipal dock. The company had relocated following Hurricane Earl in August of 2016 but was not paying anything to use the public pier. Mayor Daniel Guerrero confirmed that after much pressure, as of May of 2018, the water taxi carrier began paying a flat monthly fee of $2,000. 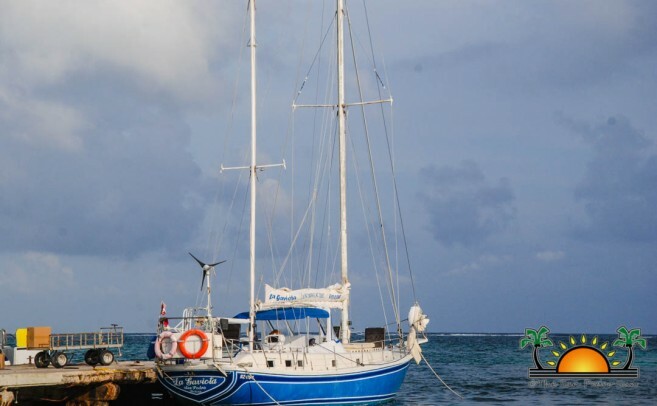 However, Area Representative Honourable Manuel Heredia Jr. is at odds with the SPTC, as he claims that the facility is being used by a small sailing boat called ‘La Gaviota,’ whose owner is not paying any fees. This is the alleged reason why the water taxi company had not been paying for the past months, as Heredia reportedly instructed them not to do so until the SPTC began charging the owner La Gaviota for using the said docking facility. Mayor Guerrero stated that after many months without collecting from the large business, they ended up agreeing to a minimum fee of $2,000. While the amount is not what they initially wanted to charge, the Mayor is glad to be collecting the fee. Guerrero stated that they have reached out to the proprietor of La Gaviota about the issue, but they have not received a response. The issue came up recently when the media interviewed Heredia on Saturday, November 17th. He stated that he believed in fairness and had been asking the local authorities on the island to start collecting from the other business, which is a small sailing boat called ‘La Gaviota’ that conducts tours now and then. “I always believe if two businesses are operating over there, then two of them are supposed to pay,” he said. “Why should one be paying and the other not? If one pays then let the other pay as well, that is my philosophy,” Heredia stated that his insistence to have the other business start paying fees is not because one of his relatives has shares in San Pedro Belize Express, but because he is a fair person. Heredia indicated that the water taxi will be relocating to another docking facility not too far from the Municipal Dock. The area suggested is by Ruby’s Hotel, on the eastern coast of the island. Many islanders are now raising the question as to what is deal with the multi-million dollar boat terminal built on the lagoon side west of downtown. The boat terminal has not been fully operational since it was inaugurated in 2014. The project came at a value of $5.6 million through a loan facilitated by the Inter-American Development Bank. Concerned residents believe that if it will not be used as planned, then all that investment was a waste of money, which Belizeans still must pay back. When the boat terminal was completed, all vessels operated by the water taxi companies were to start using the facility and relocate from their bases on the eastern coast of the island, to alleviate the congestion. However, that never happened because the lagoon-channel leading to the terminal is too shallow for many large boats. During the consultation process before its building, residents raised their concerns and voiced their opinions that the project would not be feasible due to shallow waters in the lagoon. Dredging was suggested, but local environmentalist and fishermen opposed it. 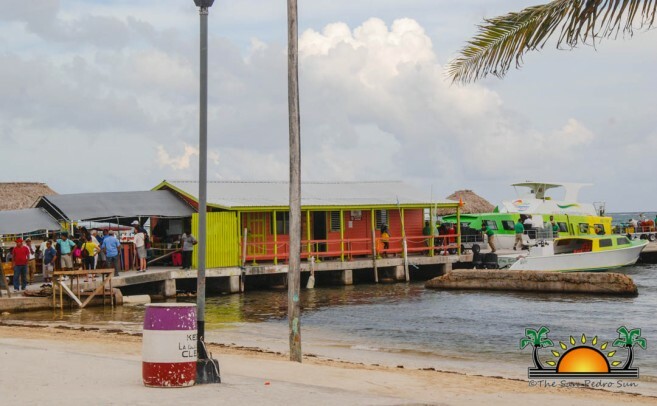 The project was eventually approved and completed, and up-to-today it only serves boats traveling to Chetumal, Mexico, while the relocation of the major water taxi companies servicing between San Pedro and Belize has yet to take place. The San Pedro Sun made attempts to contact Heredia, but he was not available. Meanwhile, the proprietor of La Gaviota believes that Heredia’s statements are unfair and that he has been using the Municipal Dock for the past 30 years as the facility belongs to the town. The businessman also stated the dock is in dire condition and needs major repairs. He adds that San Pedro Belize Express uses most of the pier and that his boat is only at the dock during the night. The boat owner added that it is unfair what the politicians are doing to him and as a San Pedrano he does not deserve such treatment, because his business could never be compared to a giant like San Pedro Belize Express. He further indicated that his business is being targeted because of his political affiliations.